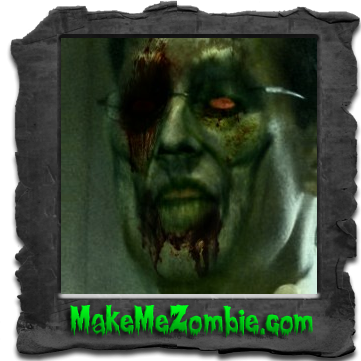 New Music VIDEO: I’m An Eric Cantor Zombie | Virginia Right! After many years of voting for and supporting Eric Cantor, enough is enough. How many times over the last 14 years that we have sent him to Washington have we heard him promise to balance the budget, pay down the debt, stop Obamacare, bla, bla, bla. In 14 years Eric Cantor has voted to increase the debt $14 Trillion. He is costing us a trillion dollars each year he has been in Congress. And his supporters are deaf, dumb and blind. He has funded Obamacare every chance he has had. So I wrote and produced this song and video dedicated to his supporters that act like a bunch of zombies and continue to write checks for a guy that is wrong more than the weatherman. I hope you enjoy this and wake up a few Eric Cantor zombies. A Video and song dedicated to the zombies that continue to support and fund Congressman Eric Cantor. It is time to retire him. We have an opportunity to upgrade to a better candidate in the primary on June 10, 2014. Tom, At first glance I thought how silly. I’m not into the whole zombie trend. However, I found it entertaining. Great tunes in the background. Thought provoking, accurate, and informative. I especially liked the sound bytes that show Cantor’s excuses, lack of resolve, & lack of results. 14 years is enough time. 1 Trillion a year. The house holds the purse. One should never confuse effort with results. That being said. I don’t believe true effort is there. I have seen it year after year. Thanks, Jim. I used to not be into the whole Zombie thing, but I started watching Walking Dead and became a fan. But the closest things to zombies I see these days are the people that keep supporting Cantor and listen to his promises to fix government over and over and, at the end of the day, he votes to fund Obamacare, take money from wounded Vets, and the debt has gone up $1 trillion for each year he has been in congress. It is simply time for a change. And look for more Eric Cantor songs. I am in the process of writing and recording several more over the next few weeks. If it worked for Bob Dylan and Pete Seeger to change the political landscape, why not against Cantor? But I promise – no more zombie songs. Tom White recently posted…Trevor Loudon Spoke at the Richmond TEA Party and All I Can Say is WOW! RIGHT ON ZAC, GET CANTOR OUT AND DR. DAVE BRAT IS THE ANSWER. CANTOR IS NOT A FRIEND TO THE PEOPLE OF AMERICA, HE HAS BEEN REFERRED TO AS A SNAKE AND WORSE THAN BOEHNER.